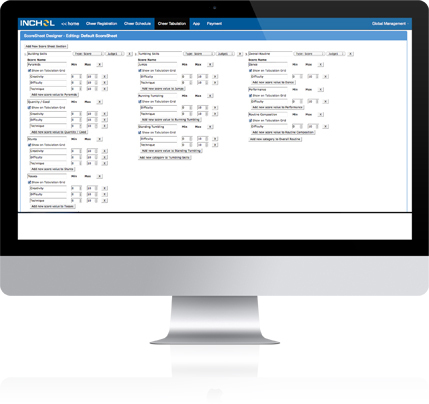 Software Suite for Cheer Events. The First Complete Software Suite for Cheer Events. Registration. Scheduling. Tabulation. Video. Apps. We like to think of software as a robot. A smart little robot that works for you 24/7, handling all of the organization, mundane tasks and complex calculations. With CheerComp Genie, you aren't getting an average software program, you're getting a hardworking employee that never takes a second off! 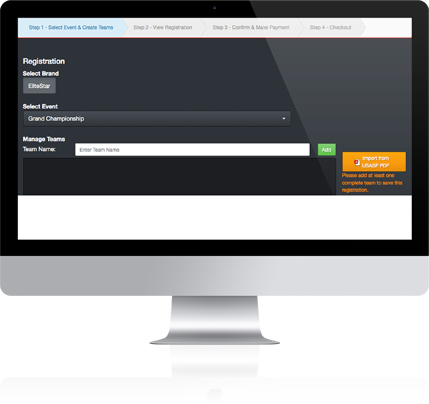 CheerComp Genie Registration was built with brand new, cutting edge technology. 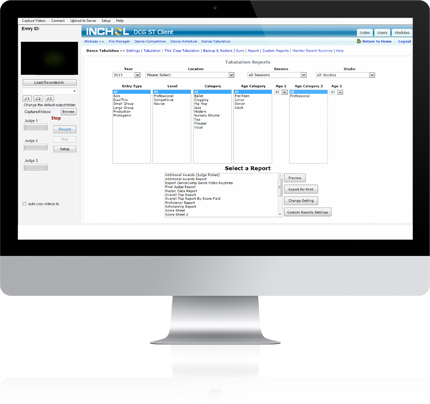 It's very smart and very intuitive, and will walk your customers through the registration process from start to finish. CheerComp Genie Scheduling practically builds your schedule for you. 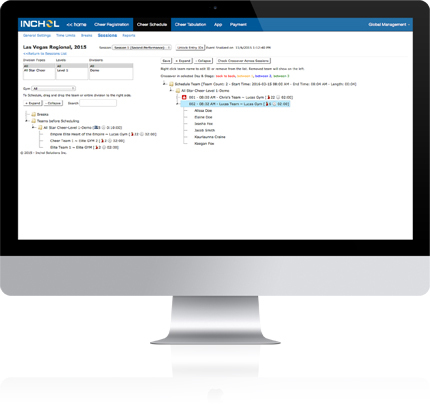 Complete with cross-over notifications and conflict notifications that work across multiple stages and much more. CCG Tabulation is structured to the meet the needs of the Unified and Universal Scoring formats. If you use either format CCG Tabulation will work great for you right out of the box! Setup with a single computer or network tablets together for a more streamlined solution. 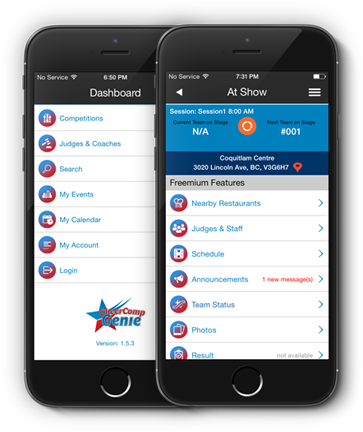 Precise calculations and flexible schedules; the perfect scoring solution for live cheer competitions. Produce high quality videos at an affordable cost. CCG Video is hands-down the most affordable way to provide performance videos to your gyms and athletes attending your events. It’s fully automated and very easy to use. Just plug-in, record videos, and send out. Your Cheer competition will never be the same. Take a step into the future by getting your own app today! Load your locations and provide a live schedule that stays updated if you make changes. Post announcements for the audience, results, critiques, photos and much more.